Printing material : Clothes,bolster,mouse pad,fabric bag,cap,cup,mug,flags,gambling table,ski board ,glass,etc. 2. 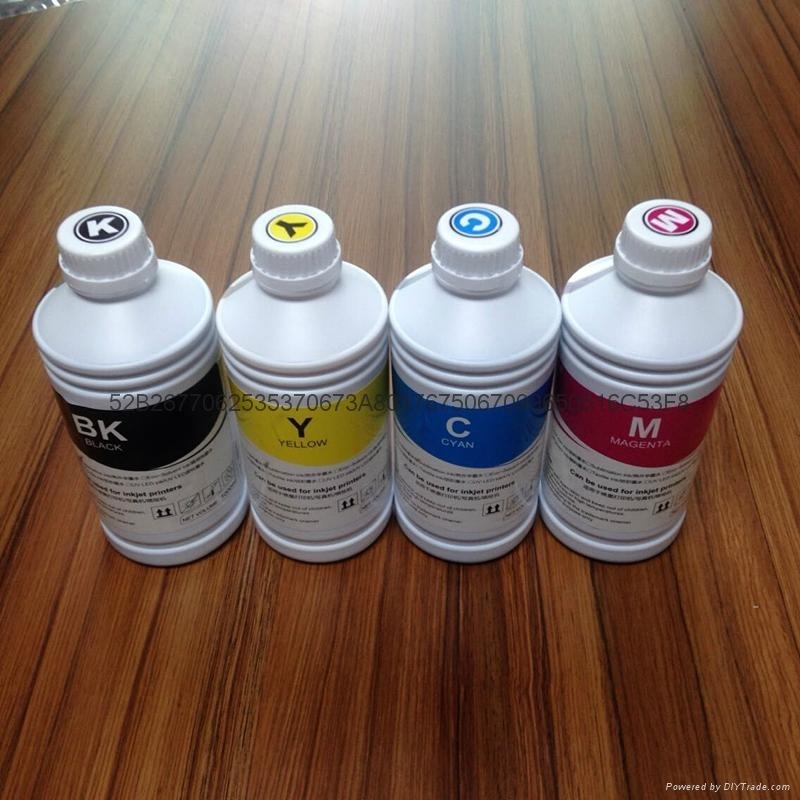 Bright, vivid color showed in your printing material, keep beautiful color for a long time. 3. Can transfer images on metals, plastic, ceramics, polyester. Like print on cotton T-shirt, Mugs, cups and so on. 5. 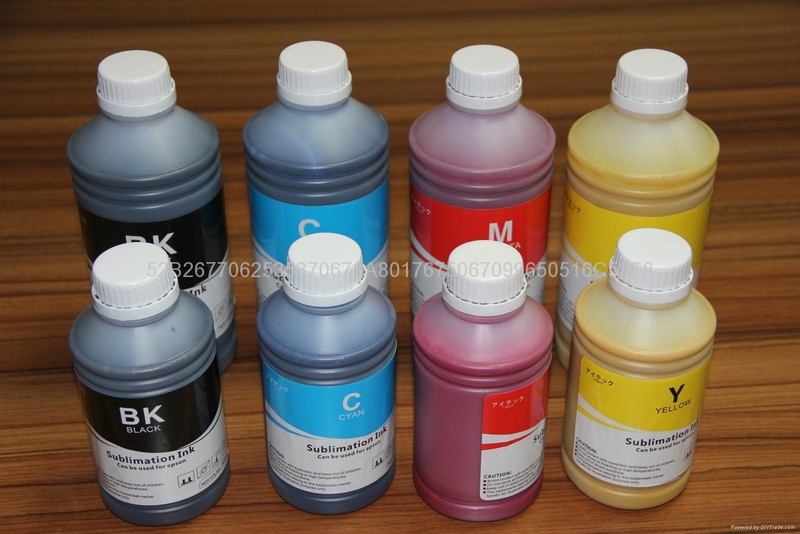 Our material of ink manufacture craft import from Germany and other countries of Europe. You will like our ink once you try one time. 6. 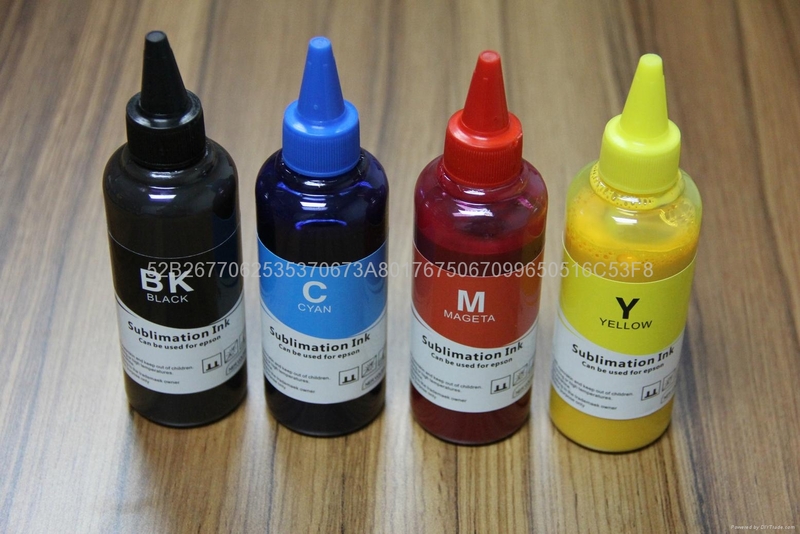 Our different ink volume: 100ml, 500ml, 1Liter,20Liter.